Ever been down the mouthwash aisle at a grocery store here in the Heights? There are so many to choose from! Most mouthwashes are used to give us minty-fresh breath, but some have other benefits, as well—not every mouthwash is created equal! Some can protect your oral health and even prevent certain complications, and not just the ones that burn, either. The question we hear the most is, which mouthwash do dentists recommend? The answer is, dentists recommend different mouthwashes for different reasons. There are some we don’t recommend, as well. Here is everything you need to make an informed decision on that never-ending mouthwash aisle! There are two basic types of mouthwashes at the grocery store: cosmetic rinses and therapeutic rinses. Cosmetic rinses freshen breath and are aren’t typically evaluated by the American Dental Association, nor are they very thoroughly regulated by the FDA. Therapeutic rinses contain active ingredients that kill bacteria to reduce plaque. Look for the American Dental Association seal of approval, which means that the ADA endorses the mouthwash as an effective therapeutic rinse. These mouthwashes have shown clear evidence that they can prevent gingivitis, reduce plaque and tartar, or even help to strengthen the teeth. Generally, you will have four different types of mouthwashes to choose from, which include antimicrobial, fluoride, astringent salts, and odor neutralizers. 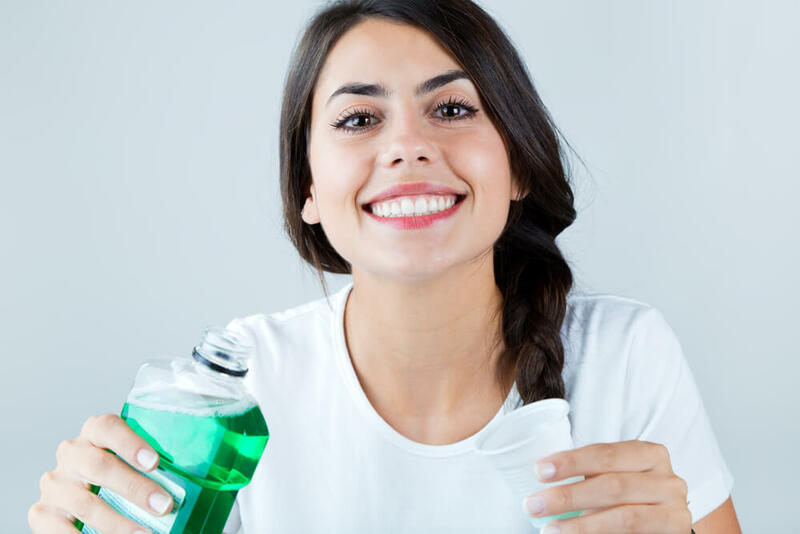 Antibacterial mouthwashes reduce the number of bacteria in your mouth, fluoride mouthwashes strengthen teeth, and astringent salts and odor neutralizers are designed to curb bad breath. If you have gingivitis or another oral health condition that requires treatment, your dentist may prescribe or recommend a much more powerful mouthwash than you can find at any supermarket in Houston. Typically, these medicated mouthwashes aren’t intended to freshen breath, but to kill bacteria and fight your affliction. Not everyone needs mouthwash. If you suffer from dry mouth, bad breath, are prone to cavities, or have gum disease, though, you may very well benefit from the use of mouthwash. In order for the washes to be effective, though, they must be used only after you have brushed and flossed your teeth. Mouthwashes are not an effective substitute for brushing and flossing daily—nothing is! If you have more questions about mouthwash or your oral care routine, contact your dental experts in the Houston Heights! Call our office at Discover Dental for a free consultation, or book an appointment today for treatment or checkup. Come see our modern dentist’s office and meet the friendliest dentist in Houston, Texas!